Whether it involves addressing the media during a crisis situation or talking to friends, family or fourth graders at a local elementary school, effective communication is a critical skill for members of the research community. At the 2013 Media Training & Communications Program, experts from around the country will help participants hone their communication and planning skills. Provides a small group setting to observe, prepare for and practice print, radio and TV interviews. This track is for those who have been designated by their organizations with the responsibility of participating in media interviews during crisis and/or rapid-response situations. Participants will review key messages, media FAQs, talking points and responses for use in animal research related crisis and rapid response situations. Participants will receive a handbook that will assist in developing messages and responses to future media inquiries. Participants will learn and practice techniques needed for successful media interviews with print, radio and TV reporters. This session will provide attendees the opportunity to learn by participating in and observing television interview scenarios with the camera rolling. Those who participate in the on-camera mock interviews will receive a video copy of their experience. Participants leaving this session will feel prepared for future live, on-camera interviews about animal research-related topics. Patrick is responsible for institute-level internal, external and marketing communications programs, including research communications, media relations and crisis communications, for RTI International, one of the world’s largest independent nonprofit research and development institutes. What is it about your institution that makes it a potential target for animal rights activists? The answer goes far beyond the question of whether animals are used in research. Participants will determine their level of risk through a vulnerability audit and will explore the elements of planning for numerous scenarios, including records requests, media and social media campaigns, infiltrations, allegations of animal negligence or abuse, facility and home protests, and threats of violence against personnel. Crisis planning is only one element of an effective communication strategy. It is essential to educate potential partners prior to a crisis and build your institution’s reputation among relevant stakeholders before you are in the midst of a media storm. We will discuss target audiences — both internal and external — that you must reach proactively, and how to prepare them in case of an adverse event. No matter how prepared you are, facing a crisis is tremendously challenging. We will discuss how to create an environment of physical, legal and psychological support for those who may be targeted. We also will provide advice that will help facilitate your interactions with the media, law enforcement and other entities during a crisis. The leaders of this track have more than 60 collective years of experience in handling animal rights activists’ false claims, protests and illegal actions against institutions and members of the research community. They have responded to ALF attacks, animal rights infiltrations and media and social media campaigns against their institutions and can provide valuable lessons learned. Throughout the day-long program, this track will deploy an interactive discussion format to present case histories and action steps to assist attendees in preparing for a crisis. 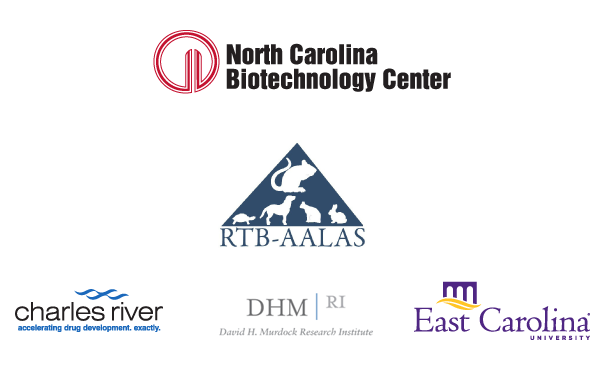 Participants will review the essentials steps of developing a compelling presentation or just the right response to a question that the public might have about the care and use of animals in biomedical research. Participants will review talking points and key messages along with strategies for connecting with nonscientists, ranging from elementary students to adult audiences. Participants will review existing resources that can assist them in sharing their science with nonscientists, and they will have the opportunity to draft their own personal story, illustrating the power and potential of animal-based medical research. Participants will work in small groups to refine their messages and to practice the delivery of their presentations in a welcoming and supportive environment. Participants will leave this session better prepared, confident and enthusiastic about sharing their work and their passion for biomedical research with others, from schoolchildren to adult audiences. Kristen Bocanegra is the creative mind behind many of AMP’s innovative public outreach programs that highlight the beneficial and humane nature of animal-based research. She is the producer and host of AMP’s popular Veterinarians Speaking for Research DVD and helped develop AMP’s Michael D. Hayre Fellowship in Public Outreach, which has fostered such programs as Speaking for Research, Pro-Test for Science and Speaking Honestly: Animal Research Education (SHARE). Dr. Cindy Buckmaster has found her life’s work in Laboratory Animal Science and is committed to the development of dedicated and compassionate professionals who work hard for our animals and the lifesaving work they support. She believes that we are silent heroes to millions of people and animals and that our work makes a profound difference in this world. She also believes that our silence is fueling the activist agenda for promoting hatred toward those devoted to improving the quality of human and animal lives and that our visibility can dilute this agenda in unique ways. She is calling for a campaign of visibility from the Laboratory Animal Science community and would like its members to consider the possibilities for change that visibility will bring. Sign in with the username and password from your conference booklet to download presentations and handouts.